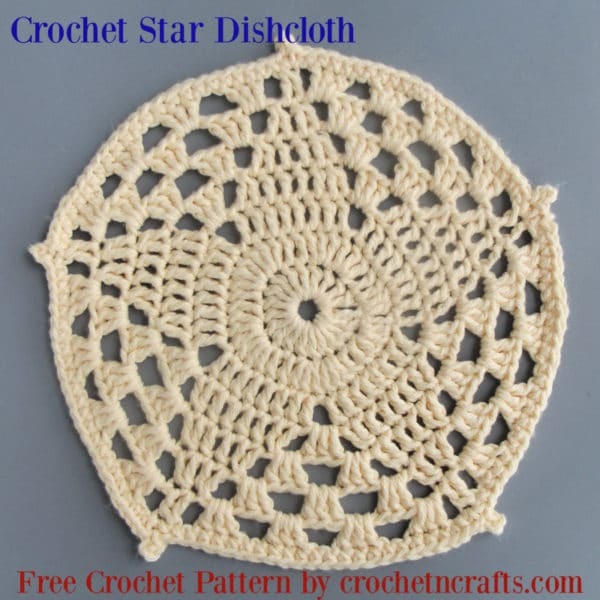 This crochet star dishcloth pattern was one of my first patterns that were published. I’ve rewritten and redesigned it for a neater appearance of the star. I also tightened up the holes, to make it more suitable for washing and scrubbing those dishes. In cotton, this is the perfect size for a dishcloth, a doily, or a plant mat. It looks great in a worsted weight yarn, but you could also substitute a fine thread and smaller hook to make a small star doily for your candles and such. Other fun dishcloths to try include this doily dishcloth, the simple lace cloth, or this one, which can be crocheted up in a single color or striped version. I added picot stitches in the last round to bring out the points of the star. 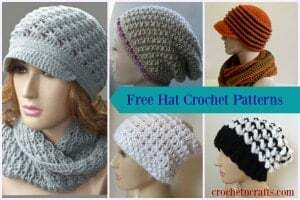 You can omit these if you like and just work the entire round with single crochets. Finished size: Approximately 9.5″ across. Ch 5, join with sl st in first ch to form circle. Rnd 8: Ch 1, *(sc, ch 3, sl st in 3rd ch from hook, sc) in dc2tog; sc in each ch and st up to next dc2tog; rep from * around; join with sl st in top of first sc. Fasten off.